In Death of a Chimney Sweep (Hamish Macbeth) ,residents in south Scotland get their chimneys vacuum-cleaned. But in the isolated villages in the very north of Scotland, the villagers rely on the services of the itinerant sweep, Pete Ray, and his old-fashioned brushes. Pete is always able to find work in the Scottish highlands, until one day when Police Constable Hamish Macbeth notices blood dripping onto the floor of a villager's fireplace, and a dead body stuffed inside the chimney. The entire town of Lochdubh is certain Pete is the culprit, but Hamish doesn't believe that the affable chimney sweep is capable of committing murder. Then Pete's body is found on the Scottish moors, and the mystery deepens. Once again, it's up to Hamish to discover who's responsible for the dirty deed--and this time, the murderer may be closer than he realizes. Thanks to Hachette Book Group, I am able to give away two copies of this book. US and Canada residents only. Only one copy per household allowed. PLEASE- put all entries in one comment. Leave Your name and email. Follow Via Twitter and please leave twitter name. Like Books R Us via Facebook. Please leave Facebook name. 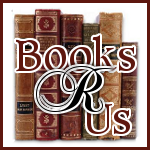 Subscribe to Books R Us via email. Must be verified to be counted. The winner will be chosen by Random.org. The winner will have 48 hours to respond to the email or a new winner will be chosen. Giveaway ends 2/24/2011 at 11:59 PM Eastern. Thank you for this chance. A person can never have too many books. I would love to win this book as I have never read a book by this author yet. +3 I follow by google reader under cenya2. I liked on facebook under Marjorie. Love the Scottish books, and I love mysteries! I also subscribed to this blog! I love this series. Hamish is one of my favorite characters. I would enjoy reading this newest book. I have read several reviews of this book and I am very interested. One more comment ... I love the cover design. Thanks for the opportunity. 1. I follow you via GFC as ParentingAuthor. 2. I follow via Twitter as @ParentingAuthor. I Subscribe to Books R Us via email. This book is high recommended on Amazon. Would love a copy. GFC follower #3. Thanks for the opportunity. It looks like a great story.